Among all the awesome things that come with adulthood, so too come the regular expenses: rent, car insurance, and groceries to name a few. Whether you’re providing for yourself or a family, it’s important to be aware of the various living expenses. 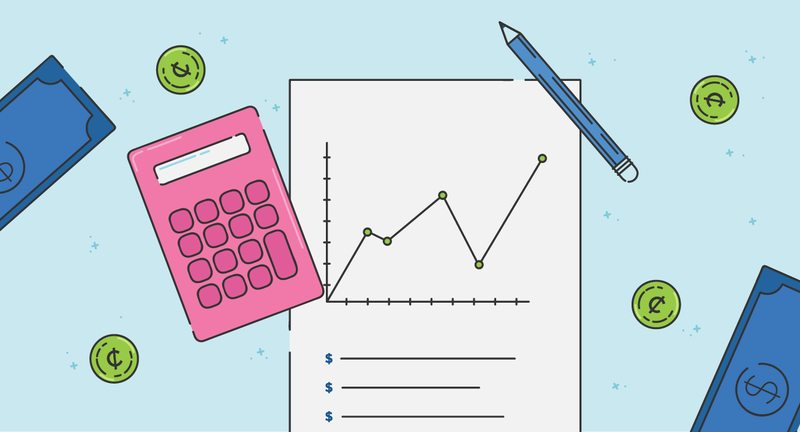 Knowing how much basic expenses cost will ensure you’re prepared to tackle them. You’ll also want to prepare for the unexpected. For example, your income might be lower than you expect while some of your expenses may be higher than you anticipated. Without a solid budget in place, you may run into financial trouble or even debt. 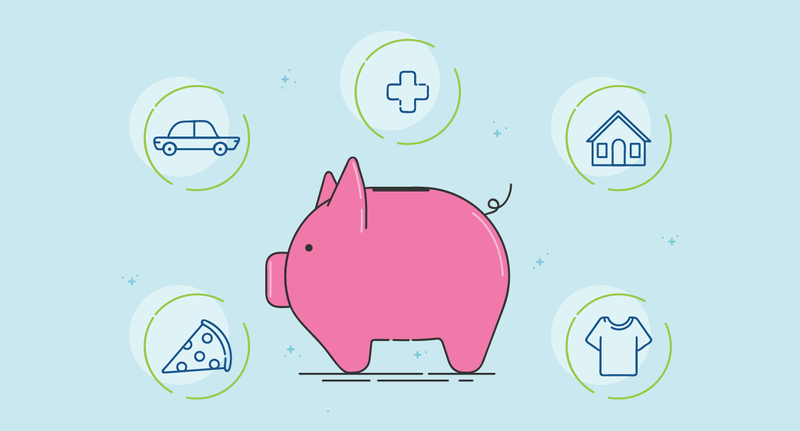 That’s why we put together this guide to living expenses — both the expected and unexpected. We’ll cover what’s considered a living expense and how much you need. We also provide expert tips on how to reduce your monthly living costs. With a solid budget, you’ll have enough for living expenses, unexpected situations, and plenty of fun, too. What Is Considered to Be a Living Expense? Living expenses are expenditures necessary for basic daily living and maintaining good health. They include the main categories of housing, food, clothing, healthcare, and transportation. Understanding what’s involved in each of these areas will help you to budget for them. Housing: Whether you rent or own, there are regular expenses, including some you may not be aware of. Food and grocery: Besides your daily meals, consider other living necessities. Clothing: From your work clothes to pajamas, ensure you account for everyone in your family. Healthcare: Remember to include expenses for your primary doctor, dentist, and other specialists. Transportation: Depending on whether you take the bus or drive a car, add up your regular transportation costs. 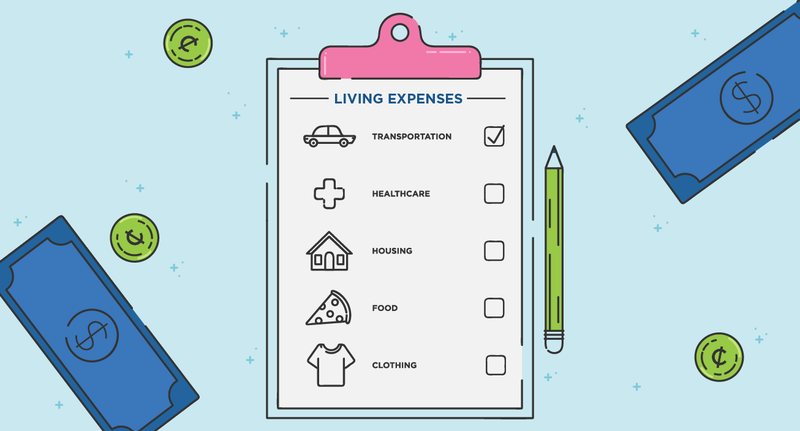 Miscellaneous: Some living expenses don’t fit a specific category, but still need to be in your budget. While there are likely other recurring costs in your life, they might not be considered as a living expense. For example, recreational activities and entertainment aren’t living expenses. That means your gym membership and Netflix subscription should be accounted for elsewhere. You’ll also want to ensure your budget includes any debt repayment, such as for a student loan. How Much of My Income Should I Spend on Living Expenses? Based on your salary and the cost of living in your city, the exact amount you spend on living expenses will vary. How much you spend on rent, for example, is dependent on location and your standard of living. For instance, rent is higher in Los Angeles than it is in Detroit. A three-story home will be more than a one-bedroom apartment. Figuring out your grocery budget will depend on how often you eat out and if you use coupons at the store. No matter your preferences or where you live, you can come up with a rough estimate for your living expenses. Focus on the main categories of housing, food, clothing, transportation, and healthcare. Look at each component and write down roughly how much you spend in each area. In general, experts recommend using the 50/20/30 rule to create your budget, especially if you’re a young adult. The 50/20/30 guideline offers a basic financial strategy for your spending and saving. The rule says that you should spend 50% of your income on your living expenses, like your rent and car payment. You should put 20% of your income in savings, whether that’s for a rainy day fund or a down payment on a house. For the remaining 30%, put it toward personal expenses like a night out with friends or a weekend getaway. Because the 50/20/30 rule is a guideline, there is some flexibility. You can adjust the percentages based on your unique circumstances. The main idea is to limit your living expenses to roughly 50% of your income. That way, you’ll have enough leftover for your savings and fun expenditures. What if I Don’t Make Enough to Cover All Living Expenses? It can be hard to afford the cost of living, especially if you’re in an entry level job or live in an expensive city. 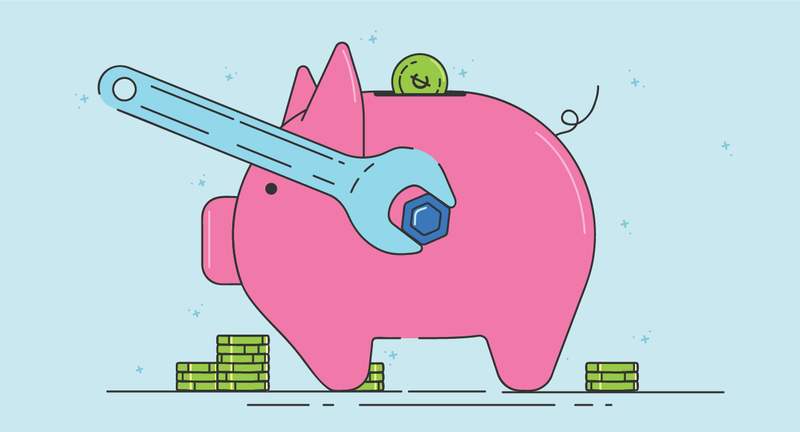 Many people — especially those early in their careers — use creative ways to make their budget work. Besides trimming your expenses, consider a side hustle or working a part-time job in your free time. Even working one night a week as a waitress, babysitter or Uber driver can add up to a lot of extra cash. You can also make money online by working as a freelancer or tutor and even completing online surveys. Some living expenses are fixed and won’t change often, such as your monthly rent. Other expenses are adjustable, such as food and clothing. That means that your spending and savings might differ from month to month, and that’s okay. Having a budget ensures you’re prepared and in a good financial place for whatever comes your way. Consistent saving is especially important. You’ll be ready just in case a necessary expense comes up. For example, if your car breaks down or you have a hefty medical bill, you can use your reserve or emergency fund. Rather than charging the expenses to your credit card or taking out a personal loan, you’ll be able to cover the bill. To ensure your plan is working, revisit your budget monthly and make any necessary adjustments. For instance, you may realize you need to allocate more for groceries and less for transportation. After all, financial plans aren’t meant to be static. Life changes, and so can our budgets. 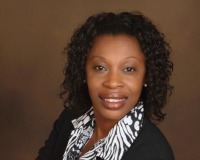 Figuring out your living expenses is a key element of financial planning. With a solid understanding of your recurring costs, you’ll be able to create a more accurate budget. You can ensure you have enough to cover both the expected and unexpected. You’ll also benefit from more financial security and peace of mind.